It is extremely hard to write this and to put in to words just what a special horse Midnight Chase was and how much he did for us. Chase was the most amazing horse to be around and had the most incredible character. He knew he was special but he was such a kind horse with it too. Bred by Liz here at Conkwell where she also bred his mother Yamrah, and stood his sire Midnight Legend. Stan and Lady Clarke then bought him from Liz, and I won on him first time out at Perth, before taking over training him for the Clarke's, Chase won 12 times for us, he was 2nd twice and 3rd five times from a total of 30 runs, he amassed prize money of over £216,000 and is until this point is our hightest rated horse at 163. 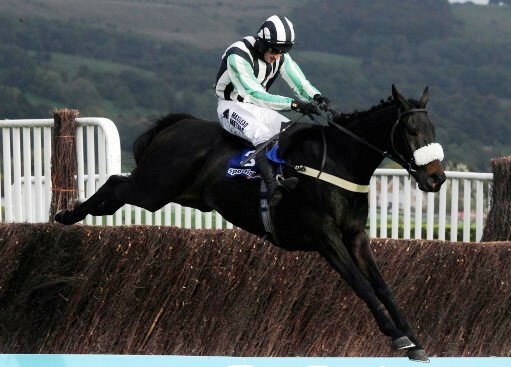 Chase's love affair with Cheltenham gave myself, Lady Clarke and the team five wins there. He won the Morson's Group grade 3 there in 2010 and his biggest win was The Argento grade 2 in Jan 2012, Chase ran in the Gold Cup twice finishing 5th to Long Run in 2011. Chase and Dougie Costello had a great partnership on the track and Dougie partnered him in the majority of his races. He was an incredible horse for me to train when I was starting out, helping to give me big wins in the early days of my training career. Winning the Argento was a day we won't forget in a hurry. I simply can not put in to words what a special horse he was to be around and train, he was adored by my head girl Georgie who worshipped him, he was such a character at home always leading the string with his ears forwards, his place was at the front he sulked in behind, he would have a squeal and a buck out of fun on the gallops. 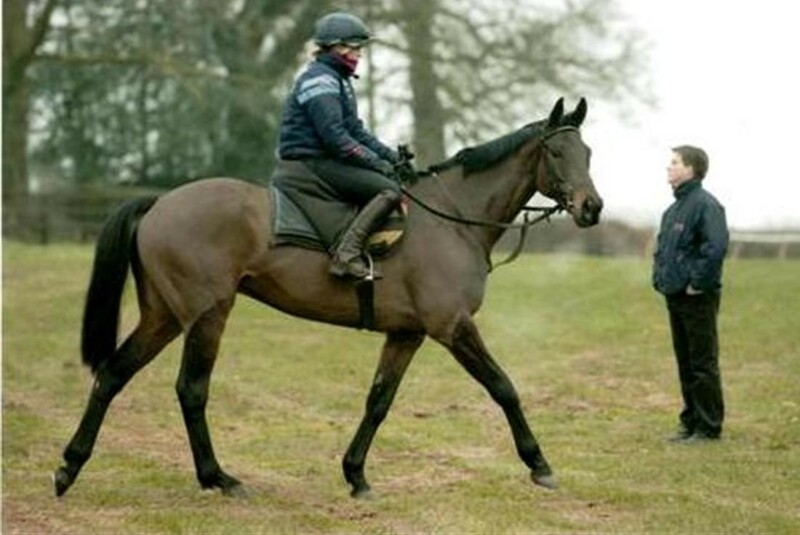 3 days after winning the Morson at Cheltenham, you would never of even known he had, had a race when going up the gallop for a gentle leg stretch at Pond House he proceeded to squeal and buck half way up the gallop much to the amusement of myself and David Pipe watching our strings of horses, Chase had such a love for life. and was adored and loved by all who came in to contact with him. When Chase retired he went to live the life of luxury with Lady Clarkes daughter Sally and her family, where he proved how good he was in his retirement by having second career eventing with Sally at B.E 90 as well as competing in showing successfully in ROR classses and qualifying for the Nationals and HOYs, as well as taking part in ROR parades at Cheltenham and Aintree, but his greatest love was on the hunting field with Sally helping her to field master, Sally gave him the most amazing retirement that he could of asked for, and unfortunately after a short illness he became increasingly unwell and the sad decision was made to put in to sleep. Chase will be very hard act to follow not only for what he achieved but as a character as well.